﻿ At Ronkel.org - We offers All the Certification Courses for Films! RONKEL MEDIA EDUCATION & RESEARCH INSTITUTE is the first of its kind media institute in India with a dedicated research center in the field of media arts. It was established on 14th February, 2014 by ace writer and director Mr. Sanjeev Sharma with the Mission: ‘SKILLED BOLLYWOOD’ for providing talents of high intellect to the entertainment industry. Keeping in mind the current requirement of the Film, TV and Radio industry, our entire course curricula have been designed for effective training and quick intellectual growth in our students. Our approach is very individualistic and result oriented in nature. Along with honing the skills and overall personality of our students, equal importance is given to industry exposure. Our Research Center is first of its kind facility in any media institute in India. Research related to acting, music and other aspects of filmmaking has been a path breaking move of our institute in the field of media arts. With the motto of “YOUR FUTURE IS YOUR KNOWLEDGE”, as a Human Resource Development organisation, we are completely dedicated towards our students to provide best education and help them build their career in the entertainment industry. We, at RONKEL MERI, have also taken initiatives such as “DE-STRESS INDIA”, “SKILLS AID” as a part of our social responsibility. Imtiaz Punjabi is a 3 time Award Winning Writer, Director & Producer of Indian Entertainment Industry. He has a tremendous journey ofmore than 25 years with many accolades and recognition. Daastaan (Zee TV), Chattan (Zee TV),Choodiyan (Sony TV), Virasat (Sahara), Jassi Jaisi Koi Nahin (Sony TV), Parvarish (Sony TV), Maryada (Star TV), Nadaan Parindey Ghar Aaja (Life OK), Kaala Teeka (Zee TV)highest TRP rating till date. He has also directed a feature film, “Fun2shh…Dudes in the 10th Century”produced by Shri Ashtvinayak Cine Vision. As a Producer, he has also producedNadaan Parindey Ghar Aajawhich was aired onLife OKwith other interesting projects coming up. 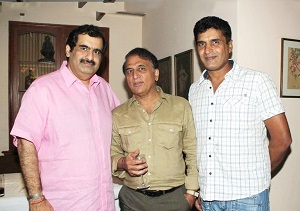 Sanjeev Sharma is an Indian film writer & director. He has worked with Rajshri Production, Vishesh Films, Shri Ashtvinayak Cine Vision and many more renowned production houses. Sanjeev Sharma has achieved 3 times Limca Book of National Records for his unique work as a filmmaker. His audiovisual project “Veergatha” with legendary Mr. Amitabh Bachchan has got universal appreciation. He has also Written, Directed and produced a film, “SHRADHANJALI” which is made to actualize the vision of Honourable Prime Minister Shri Narendra Modi and the film was presented by Rajasthan Police. The film featured Mr. Randeep Hooda as the Storyteller. Mehboob is a Filmfare Award winning Indian Lyricist turned Director with more than 26 years of experience in the entertainment industry. As a lyricist, he has frequently collaborated with Oscar Award winning Music Director A. R. Rahman and has given evergreen songs like“Tu Hi Re”, “Humma Humma”, “Kya Kare Kya Na Kare”, “Rangeela Re”, “Yaaron Sun lo Zara”, “Kabhi Neem Neem”, “Dhakka Laga Bukka” and many others with him. Their album Maa Tujhe Salaam is the largest selling Indian non-film album till date with 2 Guinness World Records. Throughout his illustrious career, he has worked very closely with the veteran award winning directors such as Ram Gopal Verma (Drohi, Rangeela, Daud), Mani Ratnam (Bombay, Iruvar, Yuva), Sanjay Leela Bhansali (Hum Dil De chuke Sanam), Shankar(Aparichit), Priyadarshan(Doli Sajake Rakhna), Raj Kumar Santoshi (Halla Bol) and has contributed immensely with his soulful lyrics. He has also been the Jury Chairperson of South Panel for 65th National Award, 2018. Mehul M Atha is an	Indian director and producer	with more than 600 television commercials and audio visuals	for leading advertising agencies like Ogilvy & Mather, Lowe Lintas, Mudra, JWT, R.K. Swamy - BBDO, Contract Advertising, Rediffusion Y&R, McCan World Wide, Edelman, Leo Burnett	and many more. He is the founder of Morse Code Films	. With 22 years of filmmaking experience	, Mehul has received recognition and won awards nationally and internationally for his work. He has been featured at Cannes, promoted in The Archives magazine and has won laurels at Promax & Clio. Swadhin Padhy is an IITian with 3 Best Actor Awards in theatre. An enthusiastic young man is heading the academics at Ronkel MERI. He has worked as an assistant director and production manager in the prestigious film “SHRADHANJALI” which was made as a tribute to the martyrs of Rajasthan Police with Randeep Hooda as the storyteller. Nikhil Kedambadi is a dynamic young music director from Bangalore. He is the founder of 1 2 3 4- The world of Mausiqi, an Indie Fusion Rock Band. 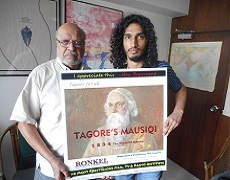 His new project 1 2 3 4- the Tagore’s Mausiqi got immense appreciation and support across film industry and he was even invited by Vinod Tawde, Our honourable Minister of Education and Culture, Govt. of Maharashtra, for his exemplary work. It’s the immense faith of our students in us and our genuine effort that has made RONKEL stand out among other film and media institutes and that too within a short span of 3 years. Our institute was featured in an International Documentary by German Filmmaker Michael Hawich as the best education provider in India.